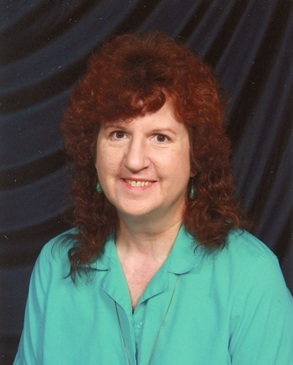 Today, I’m delighted to welcome Kassandra Lamb to Virtual Book Club, the interview series in which authors have the opportunity to pitch their books to your club. 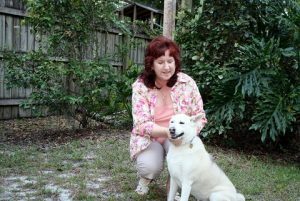 She is the author of the Kate Huntington mystery series, The Kate on Vacation novellas, and the Marcia Banks and Buddy cosy mysteries, about a service dog trainer and her mentor dog, plus a guidebook for novice writers. The book we’ll be discussing today is Anxiety Attack, released only last month and #9 in the Kate Huntington series. Q: Kassandra, what is it about your novel that you feel makes it particularly suitable for book clubs? My newest release, Anxiety Attack, A Kate Huntington Mystery is a very meaty book. It has one of the more complex plots of that series, with several interesting subplots woven in. The main character, psychotherapist Kate Huntington is not only trying to find out who really shot her P.I. husband’s undercover operative—whom Kate considers a friend—and save her client, the man accused of the shooting and of industrial espionage, from prison. She’s also struggling with aging and family issues: menopause symptoms, career burnout, balancing work and family demands, a preteen daughter who thinks she’s all grown up, and the strain the case is putting on her marriage. Then she’s called on to help the shooting victim, whose recovery from alcoholism is in jeopardy due to the boredom of a long hospital stay and having the as-needed painkiller button pushed on him by the staff. There’s a lot there for book club members to debate and discuss—the breadcrumbs leading to the real shooter/spy, whether they believed Kate handled her daughter’s issues properly, and a whole lot more. Q: You generally write in the mystery genre. What can readers expect? In mysteries, there are certain requirements to make the story work for the reader. Something bad has to happen early on, preferably by page 5. It doesn’t have to be a murder necessarily. It can be a stalker or a theft. Then the protagonist has to have a reason to become invested in solving the mystery. There must be several unexpected twists and turns. The protagonist ends up in some kind of danger, and there’s at least one final twist at or near the end. But my Kate Huntington series also has a toe, if not a whole foot, in the women’s fiction genre. Kate is a strong but compassionate female protagonist (a reviewer’s words, not mine) and she and the other characters struggle with issues of contemporary life. Q: Why do you think so many women write crime fiction? I don’t know. I do know that women are the larger part of the audience for crime fiction, although plenty of men read it too. It’s the second most popular genre. I started writing mysteries because that’s mostly what I read. It was the genre I knew best. Now I’m trying to branch out into romantic suspense. Tensions build when Skip learns that Kate—who’s convinced her client is innocent and too emotionally fragile to survive in prison—has been checking out leads on her own. Then a suspicious suicide brings the case to a head. Is the shooter tying up loose ends? Almost too late, Skip realises he may be one of those loose ends, and someone seems to have no qualms about destroying his agency or getting to him through his family. Q: Is your own writing plot-driven or character-driven? Most definitely character-driven, which isn’t always the norm in the mystery genre. My books are as much about how the characters change and grow as the result of the events in the stories as they are about the mysteries themselves. And sometimes the characters seem to take over and move the story in directions I hadn’t planned to go. 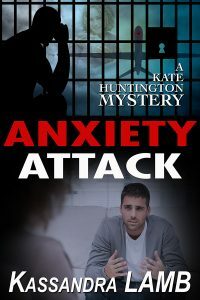 In Anxiety Attack, the characters, who were in their thirties when the Kate Huntington series started, are now middle-aged and are dealing with the challenges of that life stage. Not necessarily a moral, but I am a retired psychotherapist. My goal with the Kate Huntington series was to educate people about the psyche and mental disorders, but in an entertaining way. Indeed, that has been my life’s calling, first as a psychotherapist, then as a college professor and now as a fiction writer. In Anxiety Attack, I wanted to help readers better understand those who suffer from social anxiety. I also like to explore, or at least touch on, issues that are relevant today, such as the use of drones by the military and the possible use of excessive force at times by the police in the U.S.
Ha! Ironically, I’m a brown thumb with plant life. I don’t kill it outright from the beginning, but under my care it will probably die eventually. But when it comes to writing, I am definitely a gardener. I get this seed of an idea… what if such-and-such happened? And then I sit down and write and see what evolves. Hmm, probably when I was researching how to build a hidden room in a house for one of the Kate books ( Fatal Forty Eight) that is really a thriller (an experiment that a traditional publisher probably wouldn’t have allowed me to pursue). A friend of Kate’s is kidnapped by a serial killer and held in a secret room. It was also one of the most interesting things I’ve researched. Now I’m always looking for rooms in people’s houses that are shorter than they ought to be. Q: Do you know the ending to your story when you put pen to paper? Have you ever changed an ending after you started to write? That is one way that I differ from some ‘gardeners.’ I have a pretty good idea of what that flower is going to look like eventually. I figure out whodunit and why, before I sit down to write. I may not always know where I’m going from one scene to the next, but I need to know where I’m eventually going to end up. Otherwise, I would just meander all over the place. But yes, a couple of times the person I intended to be the killer turned out to be a major red herring instead, and the killer was someone else entirely. There are two answers to that question. One is practical. Sometimes you just need to have scenes when the protagonist isn’t present, in order to move a mystery forward. This is especially true in my series, where the amateur sleuth protagonist gets involved in the investigations, but her husband is a private investigator who owns a thriving P.I. agency. So he and his partner and/or operatives are sometimes turning up clues, unbeknownst to Kate, the main character. But the other reason goes back to the character-driven agenda. I want readers to connect with all my significant characters on a deeper level. Through the multiple points of view, they get to see/hear/feel what those characters are experiencing. I’ve gotten good feedback about this from readers. I stick to the main characters’ POVs most of the time, and the second-tier ones occasionally. I’ve read books where the reader hears the thoughts of everybody, including taxi drivers, and that gets confusing. And in Anxiety Attack, for the first time Kate’s teenage daughter has her own POV scenes. Q: How do you create and construct distinctly individual supporting characters? Sometimes they’re loosely based on someone I know, but more often I pick a certain trait that I admire and that fits with the story, then make that the core trait in that character’s personality. And then throw in some flaws and inconsistencies to make them realistic. My favourite character in the Kate series (besides Kate herself) is Rose Hernandez, Kate’s husband’s business partner. She’s five foot even, her figure is ‘sturdy’ or voluptuous depending on what she is wearing, and she is quite tough (ex-military, ex-cop). She hates displays of emotion but she is extremely loyal to her friends, and has a fierce sense of justice. Q: What do you want readers to think or feel after reading one of your books? I hope that the reader lets out a contented sigh after reading one of my books. I also hope that they’ve said “I didn’t know that” to themselves at least once or twice during the course of the story. And hopefully they’re thinking about the theme(s) of the story, and maybe wondering what the characters are up, to for a few days afterwards. The least favourite is marketing. I can’t say I hate it, but I dislike it. The favourite in more recent times has been editing, which has kind of surprised me. Since I’m a ‘gardener,’ I don’t always know where I’m going during the drafting part, and I’m too close to it to sense how good it is. Once that first draft is done, I think, ‘Okay, let’s see what we can make of this garbage!’ I’m usually delighted to discover that it isn’t all garbage, and I enjoy seeing it shape up into a tighter, cleaner story. Q: One final question. What are you working on at the moment? I’m currently drafting the next story in my other series, but I’m anxious to get back to Kate Huntington. The seed for the next instalment in her adventures was planted during the writing of Anxiety Attack. The next book will further explore the rash of questionable shootings by the police in the U.S. I’m going to try to look at the issue from both sides of the fence, which could be difficult. I’ve tentatively titled it Police Protection. Want to find out more about Kassandra and her writing? Visit her website, look her up on Amazon UK or US, like her Facebook Page, follow her on Twitter . She’s also active on Goodreads and Pinterest. Remember, if you enjoyed this post please share it. If there’s anything else you’d like to ask Kassandra please leave a comment. Thank you so much, Jane, for this opportunity to be interviewed on your blog. You ask great questions! I will check in over the next few days to see if your readers have anything they want to ask me.